This site provides access to near-real time data of projects of Norut Narvik. Norut Narvik is a not-for-profit Research and Development institute exploring new approaches to operations in northern Norway. Recent season of near-real time ice load measurements. 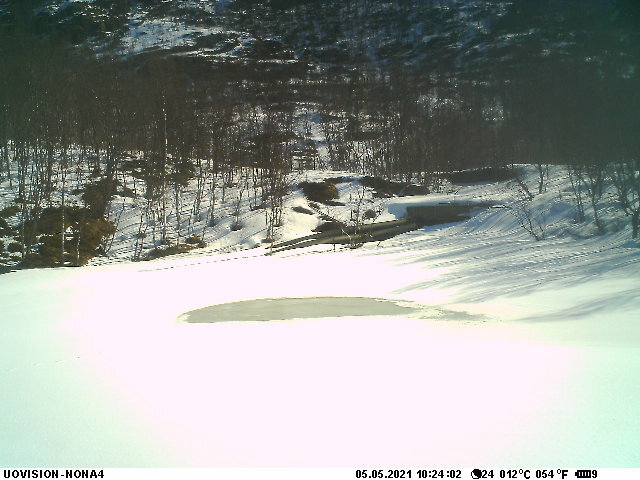 Measurements at Taraldsvikfossen Reservoir, Narvik, have been ongoing since season 2013/14. Recent photos and measurements from a Ph.D. project on ice in fjords. The project is part of CIRFA and started in winter 2017/18. The old ndat.no web page that served us well from spring 2013 through fall 2018 has been archived and is available here.